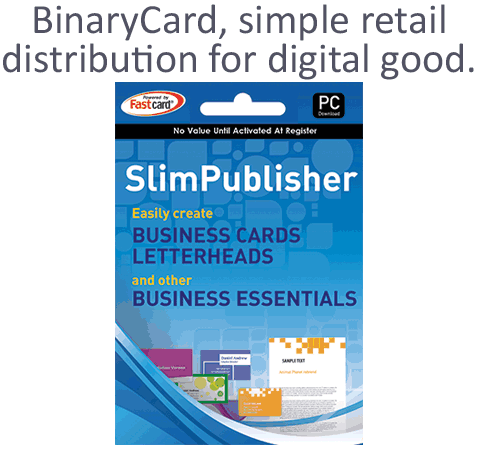 Application software, PC games, ebooks, or any other digital product can be made available on BinaryCard. We have partnered with the leading retail gift card provider to offer this distribution network of over 145,000 retail locations, including destinations in such categories as grocery, convenience, big box, chain drug and many more. This is a cost-effective alternative to traditional box manufacturing .With digital delivery, retailers can also offer the prepaid cards online, sent to the recipient electronically.